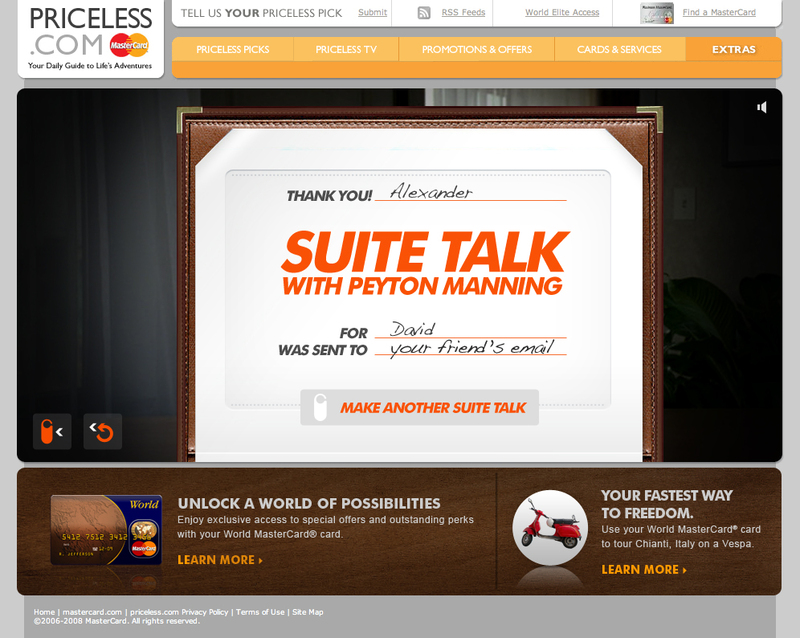 Now you can send a personalized pep talks from Peyton to your pals, with the new Suite Talk with Peyton Manning. You just fill out a little online form with your name, your friend’s name, select a couple of options about why he or she is down in the dumps (a case of the 4th downs), how you want to help (get them out of this pickle), and what they need to fix it (a train ride), and you’ve created your own personalized video. 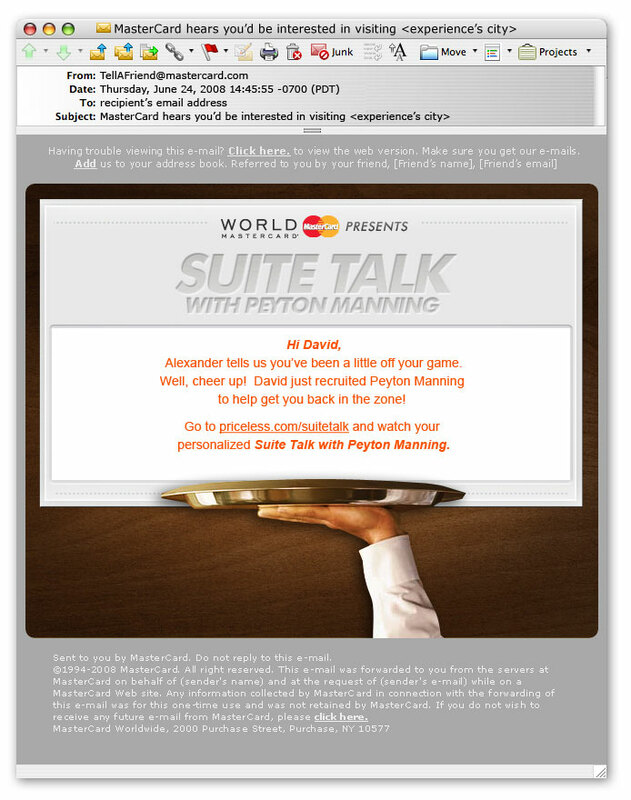 From Peyton, to your friend. 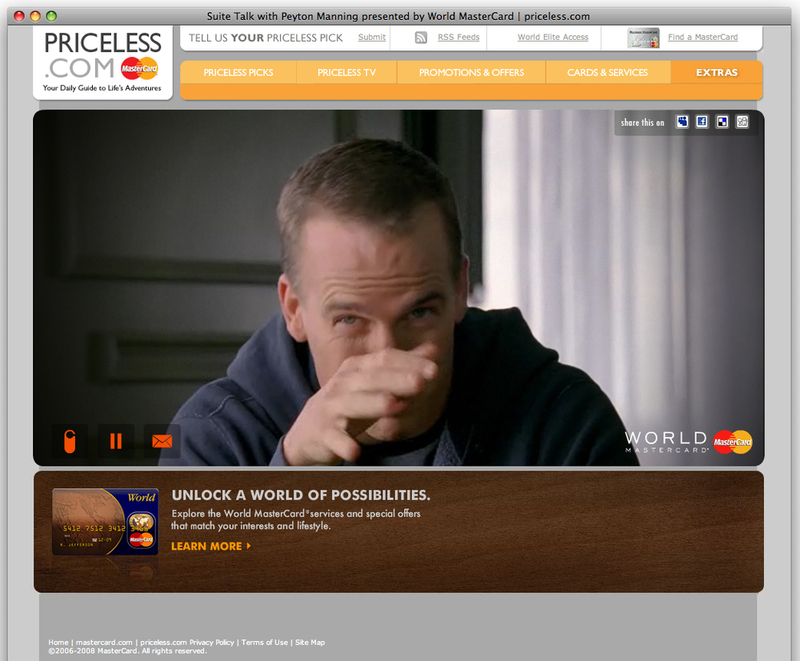 We created the video by having Peyton put his hands in front of his face when he says your friend’s name or reason for his ennui. Then, we pre-recorded the different names and problems, which get inserted at the appropriate times. 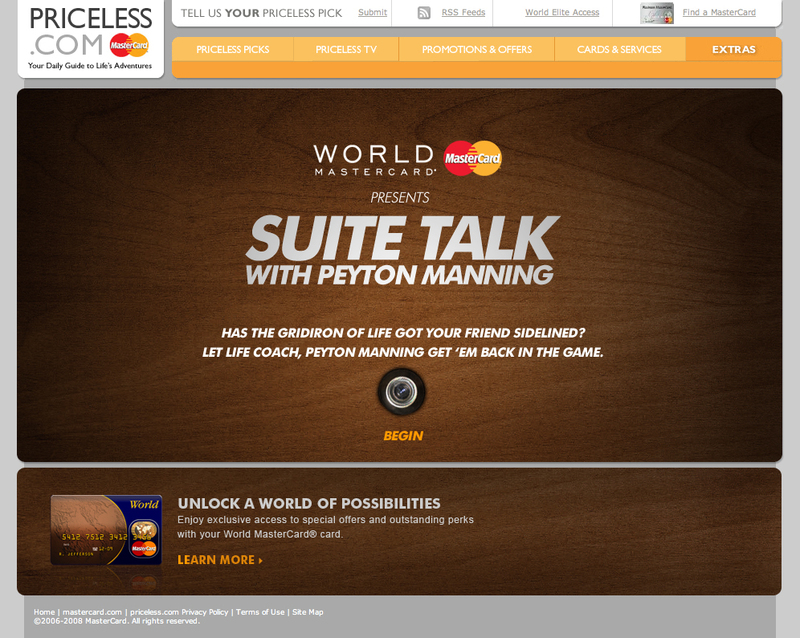 Check it out and send a little Suite Talk from Peyton to a pal. Find ATMs and MasterCard® PayPass™ accepting merchants located around the world with your iPhone’s GPS, by entering an address or an airport location, from wherever you happen to be. 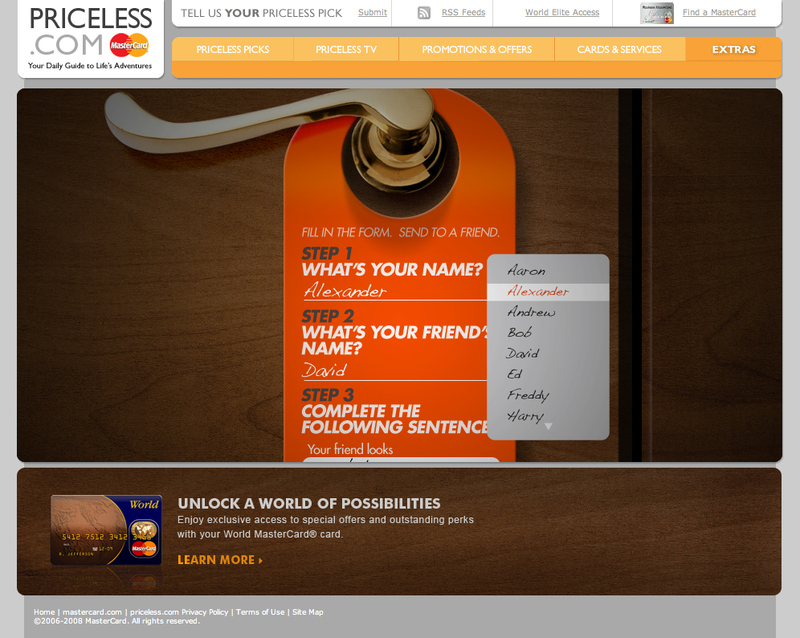 The MasterCard ATM Hunter makes it fast and easy for you to locate the closest ATM and PayPass acceptance locations. And because the ATM Hunter is location aware, there’s no need to input your address or current location, no matter where in the world you are. 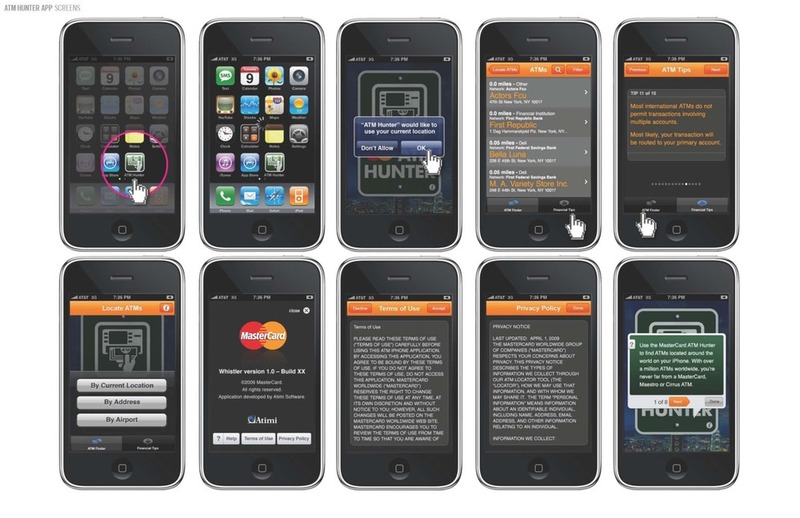 The ATM Hunter lets you tailor your search on what you want to do. If you need to make an ATM deposit or want to use your own bank to avoid fees, you can search for your specific bank’s ATMs. If you just need to pick up some cash, you can search for all nearby ATM locations.